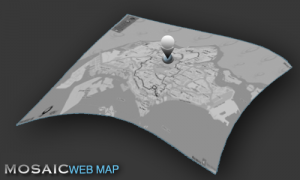 Corporate or personal sites, blogs… to anybody – can now have map services easily integrated with your web site. No complex programming skills required, easy integration using scripts, no code maintenance. Enhance your website with Mosaic. We provide integration services for all mapping purposes. If you do not have the time to do your own integration, we can help! Please feel free to contact us here. Pricing depends on your usage and requirements.